Rights lawyer and opposition figure Khaled Ali announced, in a press conference held on Monday at the Dostour Party headquarters, that he intends to run in the 2018 presidential elections. A final decision regarding his candidacy remains pending a number of factors. The potential candidate said, in his address, that he has postponed the official announcement until a presidential election law has been passed and registration for candidacy has been opened. The final decision to stand will only be taken after consulting with other political forces and receiving assurances regarding the integrity of the elections. It is also pending a verdict on his appeal against a three-month prison sentence that Ali received in September on charges of “public indecency,” Khaled al-Balshy, the campaign spokesperson and former Journalists Syndicate deputy head, told Mada Masr. The press conference was held in the absence of local television channels, with the exception of the privately owned Dream satellite channel, while a number of regional and international channels and news agencies, including Al-Arabiya, Al-Hurra, Al-Ittihad, Al Araby TV, the BBC, Al-Alam News Channel and Agence France-Press, covered the announcement. We have decided to “launch the efforts to build and organize a presidential campaign in preparation for my candidacy, draft a platform and open a discussion with the community toward forming an alternative to save Egypt from an unfortunate, dark fate,” said Ali — who usually improvises his speeches — in a 20-minute pre-written address. “Before the final announcement, we will coordinate with all political actors,” said Ali. According to Ali, the Dostour Party agreed to host the press conference after both the Journalists Syndicate, Commercial Professions Syndicate and a number of hotels refused to. 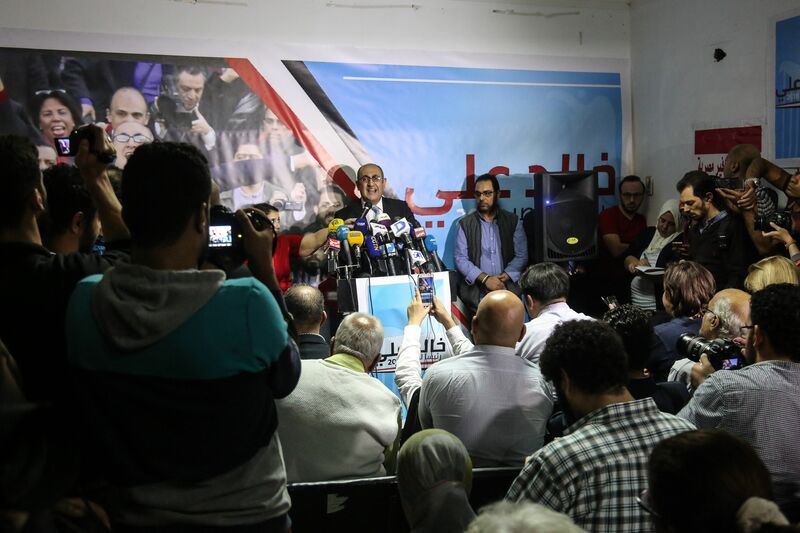 Khaled Dawoud, the party president, introduced Ali and told reporters, “Khaled Ali represents a generation of January 25 revolutionaries and he has a long track record of activism.” However, “the [Dostour] party’s official stance will be announced later,” he said. “We are preparing to enter this election fully aware,” Ali asserted. “We have no delusions regarding the integrity of our opponents or the fairness of the settings in which the elections will be taking place. 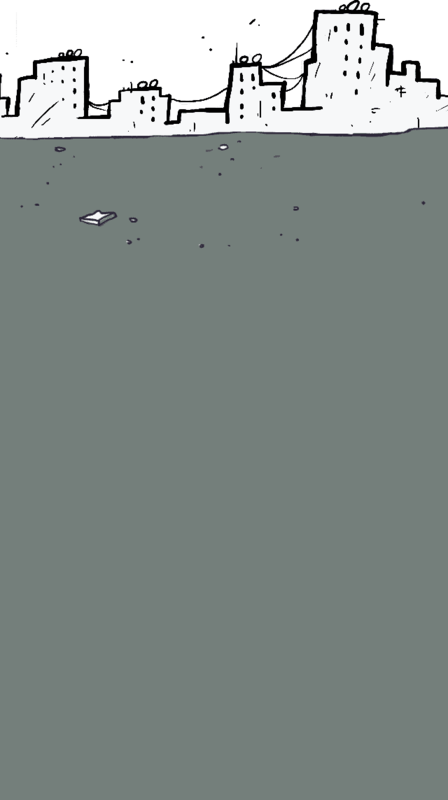 We have never been and will never be a distraction in any political or electoral context, and we will fight — along with other democratic forces — for real assurances of the integrity of the race, working toward an open and free public space. Our rights will be achieved through our struggle, not bestowed upon us by our opponent,” he added. He mentioned the raid on the printing press toward the end of the conference, adding that while his campaign understands the risks involved, they are planning to go ahead with his candidacy. “The moment we find it becomes impossible to continue,” Ali added, “we will make an announcement regarding the presidential campaign … Either we receive real assurances guaranteeing transparent, democratic elections, or all political forces will have a unified stance on the matter,” suggesting they may boycott the elections as a last resort. On Wednesday the Dokki Misdemeanor Appeals Court is expected to hear the appeal against Ali’s three-month prison sentence, issued on September 25 by the Dokki Misdemeanor Court. The charge of public indecency was brought against Ali for allegedly making an obscene hand gesture while celebrating the Supreme Administrative Court’s January decision to annul a maritime border agreement conceding the islands of Tiran and Sanafir to Saudi Arabia. Ali’s candidacy hangs on the anticipated Wednesday ruling in this case, as some legal interpretations deem public indecency a crime of moral turpitude. On conviction of such a crime, a person loses their civil and political rights and subsequently becomes ineligible to run for office or to vote in public elections. Responding to reporters’ questions about the case and the possibility that, if convicted, he might be barred from running, he said, “I am hopeful I will be rightfully acquitted. Only one authority may decide whether this conviction makes me ineligible to run, and that is the presidential election authority,” referring to the recently formed National Elections Authority (NEA). According to Ali, Egyptian laws do not offer an exhaustive definition of crimes involving moral turpitude; tax evasion is the only crime explicitly classified as one, while it is left to the discretion of judges to decide on all other crimes. As he pointed out, some judges deem writing checks without sufficient funds a crime of moral turpitude, while others do not.